Ryan is a General Paediatrician with particular interests in early infant attachment and child development. He completed undergraduate degrees in Psychology, Biochemistry and Peace and Conflict studies before being awarded his medical degree from the University of Queensland in 2003. He completed his Paediatric training at both Royal Children’s and Mater Children’s Hospitals in Brisbane. 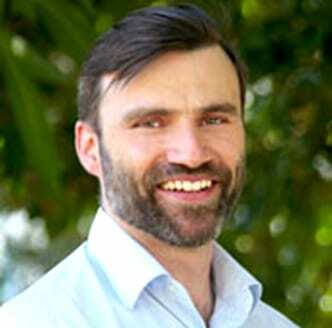 Ryan has worked as a Paediatric doctor at Logan, Toowoomba and most recently The Tweed Hospitals. He has experience caring for both neonates and older children in different contexts. Ryan has had an active role in medical student teaching and also has completed research examining long-term associations with infant breastfeeding. Ryan was awarded his Fellowship with the Royal Australasian College of Physicians in 2013. Ryan is a father of two young children (plus a third if you count Angus, his Cocker Spaniel). When not at work, he enjoys spending time with his family and on early mornings he is often sighted walking through the streets of Greenslopes, easily recognizable with a pram and dog at his side.